The new Vans The Anaheim Factory Sk8-Hi 38 DX pays tribute to our first Vans factory in Anaheim, California, by borrowing details from the original Sk8-Hi and offering modernized comfort with upgraded UltraCush sole. 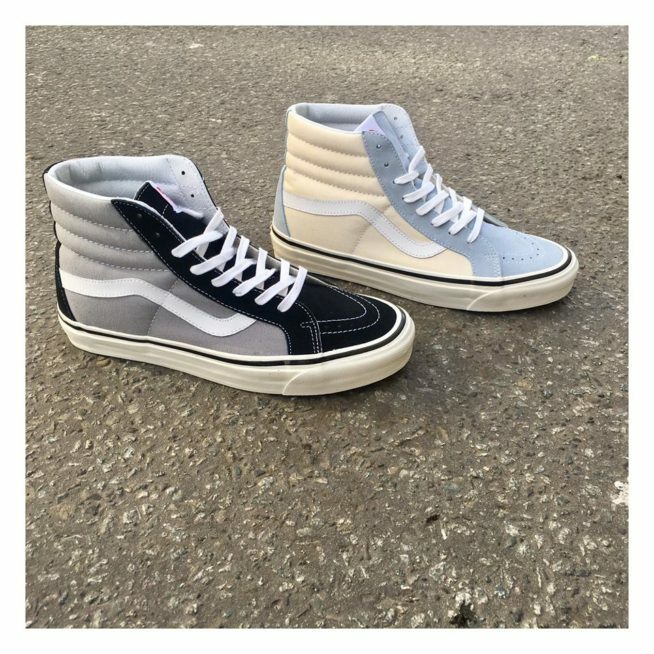 The Anaheim Factory Sk8-Hi 38 DX also includes throwback details, using the original style number and color palette, higher glossed foxing tape, cotton laces, original drill lining weight and a heavy 10 oz. canvas to complete the look.